As a professional truck driver, we would highly recommend for you to perform a pre-trip inspection before you begin driving. Sure, this can sound like a waste of time, but it could prevent an accident from occurring later in the day. 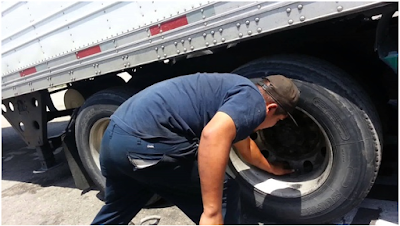 The key is to make sure that the tires on the tractor and trailer of your truck are correctly and properly inflated. This not only helps with preventing accidents, but also will increase your fuel efficiency, according to an 18-wheeler accident attorney based in Texas. Not only does properly pumped up tires prevent accidents, it also maximizes and increases the tire life of your tires, saving you money in replacements and reducing the chances of tire failure from taking place. It is important to note that just looking at the tire is not enough during your pre-departure checks, as it is difficult to predict proper inflation of the tires just by looking at them. We would recommend that you use a properly calibrated air pressure gauge to ensure the pressure is correct for each tire. All tires lose pressure over time, so sometimes just pumping them up slightly will make a world of difference. It is generally agreed that having an under-inflated tire is the number one cause of premature tire failure. It is not just the tire pressure that should be looked at. Make sure you look for areas of damage to the tread or sidewall area of the tire. Sometimes unusual patterns of wearing such as tapered tread depth or bald spots can occur, so keep an eye out for these. Tires that are underinflated cannot maintain their proper shape and become flatter over time. This means the tire has less contact with the road. Research has found that if a tire is just six psi under-inflated, this can cause tire failure. If you constantly use your truck tires when they are underinflated, the tread life of the tire is greatly diminished. If you overinflate your tires, the tires become too hard and stiff. This subsequently means that the tire is in contact with less of the road. If you drive over debris or unexpected bumps in the road with overinflated tires, the tires are much more likely to get damaged, and your truck becomes stiffer to drive. 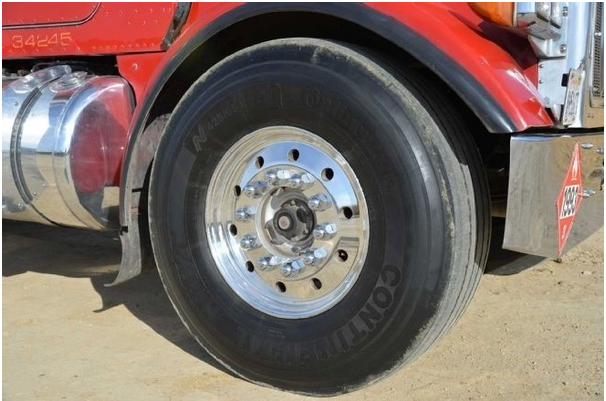 By keeping an eye on your tire pressure, as well as looking for areas of wear, drivers can increase the life of their tires, which means the truck will be more fuel efficient and maximize your safety whilst driving.